Information, opinions and more about the broadcast side of sports. It’s early but the clear on-air standout of the NFL season is a rookie. CBS color commentator Tony Romo has made the transition from the playing field to the broadcast booth almost seamlessly. There’s little question about his expertise and the few questions about his approach and style seem petty. Unfortunately, the few people complaining about Romo are those who would seem most likely to support him -- in one case a longtime sports broadcasting legend. Romo has made the biggest impact for his ability to “predict” what’s going to happen on the field. It’s not so much a parlor game as a familiarity that leads to correct down-and-distance suggestions. His accuracy has, at times, seemed uncanny and that’s because he was in game-plan meetings every week last season. He’s familiar with the league, and it’s great that he can flash a connection and some expertise that others do not have. That’s what viewers want from the folks working on TV. His accuracy might also relate from something for which he’s not getting credit, his work ethic. Broadcast teams prepare for games every week by watching video and by asking questions during pregame interviews with coaches and players. So, maybe Romo is gleaning what he needs from those sessions, too. No matter the reason, what the former Cowboys quarterback is doing seems fresh and informative. It merits praise. Instead, though, sports broadcasting legend Brent Musburger recently took a shot at Romo’s approach. He said as Romo develops and gets farther and farther from the locker room, the predict-the-play ability will wane because he’ll lose his connection with the league. That’s probably true but that does not mean Romo should not play to his initial strength. Romo’s knowledge of personnel groupings and tendencies gives him intellectual muscle he should flex. It’s not hype or a trick. And, in fairness, Musburger was a hype master. He never met a standout college football player during a game that he did not hesitate to champion for the Heisman Trophy. And he certainly never failed to give a wink-wink acknowledgement of betting lines during a game to make sure folks knew he knew. For him to criticize anyone’s work as hype is the pot calling the kettle black. Also, Musburger intimated Romo should be more deferential to his play-by-play partner, Jim Nantz. My sense is Nantz can stand up for himself if he wants. Plus, Nantz’s reverential, stale approach could use a shakeup. Adding Romo and bouncing Phil Simms to the studio was an acknowledgement of that by the folks at CBS. Romo does need to drop the jargon, terms like PI (pass interference) and RPO (run pass option), and hopefully that will come. Still, he does an excellent job explaining what quarterbacks do, and quarterbacks are the stars of the NFL so that’s another a good thing. The NFL season kicks off Thursday with a Chiefs-Patriots matchup, and along with that opener featuring the defending champions it’s already been an eventful first week. Anthem awareness -- Player protests during the national anthem were blamed for some of the NFL’s ratings problems last season and gameday directors and producers, who decide which shots end up on viewers’ TVs, plan to acknowledge on-field demonstrations if they happen this year. Most believe it’s a matter of simply sharing what happens at an event -- perhaps to the chagrin of NFL officials and some fans. Less but lengthier commercials -- League and TV officials promise just four commercial breaks per quarter this season, and no more scoring play-commercial-kickoff-commercial pattern. Still, commercial breaks will be slightly longer. Tons of technology -- Chips that conveyed speed and force data were embedded in players’ pads last season, with information sometimes integrated in broadcasts. Expect more of the same this season. Plus, the footballs will have chips in them, opening the door for even more data to be shared. Making that information relevant will be the biggest challenge. Simms to studio -- CBS Sports has benched analyst Phil Simms (he’ll now work in studio) and replaced him with former Cowboys QB Tony Romo. As one of the AFC’s best teams, the Steelers should draw CBS’s Jim Nantz-Romo pairing somewhat consistently. While Nantz has his own problems, shaking things up and losing the unhelpful and wordy Simms should be good -- even if Romo has some rookie challenges. n The Week 1 TV crew for the Browns-Steelers matchup at 1 p.m. Sunday is Greg Gumbel, Trent Green and reporter Jamie Erdahl. n An ESPN 30 for 30 series documentary about former heavyweight boxer Tommy Morrison will debut at 8 p.m. Sept. 27. It’ll be available Wednesday online (ESPN3) and with the ESPN and Watch ESPN apps. n Fox Sports took some heat for hiring Michael Vick as an analyst for its NFL programming. Still, they remain committed to using him in that role and will have a ratings excuse of the shows do not perform well. Honestly, it feels like he’s paid his debt to society, and it’s also hard to imagine how strong he’ll be on TV anyway. With the Presidents Day holiday, ESPN Radio listeners got a preview, of sorts, of what lies ahead for them in terms of morning drive sports talk. Specifically that's no "Mike & Mike" -- as both had the day off this morning. Overall, news (and even new rumors) out of ESPN has been almost nonexistent as the supposed breakup of “Mike & Mike” nears. Sports Illustrated first reported the program might end, but no timetable has been specified since that initial report weeks ago. Still, the report seems logical and it’s probably just a matter of the all-sports network finding the right timing. Maybe it’ll happen around the Final Four, or maybe it’ll be in the somewhat slower summer months when a replacement program makes its debut. Whenever it happens, what’s next for Mike Greenberg might be a New York City-based morning program that airs in ESPN, perhaps a rebranded “SportsCenter” in the way the network turned its late-night show into a vehicle for Scott Van Pelt and, more recently, its approach to the 6 p.m. “SportsCenter” featuring Jemele Hill and Michael Smith. What’s next for Mike Golic might be another morning partner on radio or some combination of partners. Greenberg, who recently earned a big contract from ESPN, has seemingly sparked any potential changes to the show. The most recent was an ill-fated move to the Big Apple a couple of years ago. That was to include an additional host, with the show possibly emanating from Times Square. It never happened. For more than a decade and half, “Mike and Mike” has been the flag bearer for ESPN. The odd couple chemistry of the two hosts might be a bit contrived at times, but it works. Still, with demographics changing, ESPN has been trying to find ways to broaden the show’s audience even while the hosts age a bit. The show is rarely intentionally controversial and never mean spirited. For the most part, it’s good talk radio. ESPN often uses “Mike and Mike” to test out talent, too. A good performance by guests in that safe environment can often lead to bigger opportunities. 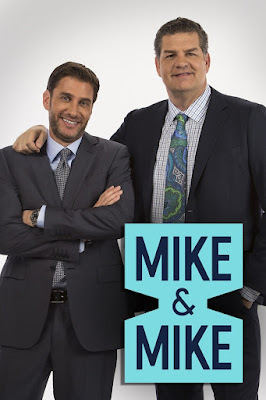 Here’s the thing, though: “Mike and Mike” might be better as a sum than in individual pieces. Greenberg’s anti-germ sensibilities and lack of athletic experience, despite his journalism chops, still need a personality to play against. He has that in spades with self-deprecating Golic, the former NFL veteran who invariably puts his college career at Notre Dame front and center as well. Together, they’re fun and informative. Separately, they might be nearly as good. No matter what happens, they will be missed if the breakup occurs. From a program some thought might not last more than a few months, “Mike and Mike” has grown and earned a spot in the sports media landscape. The hosts and the show have earned respect throughout the industry. For example, when Rich Russo, the Penn State alum who directed the Super Bowl for Fox Sports (so that’s a pretty heady job), was told his name was mentioned on “Mike and Mike” before the big game he sounded genuinely thrilled. “Mike and Mike” is not take-a-side talk just for kicks. It’s not a schtick, and that might be the biggest reason it’ll be a loss if the show ends. Its heart is in the fact that it’s genuine -- a rare find in sports-talk related programming anymore. A practice run with a pair of high school teams Thursday will determine, in part, how Super Bowl LI looks Sunday on TV. Three days before kickoff Fox plans to conduct the annual network run-through for the big game using two Houston area high school teams as stand-ins for the Falcons and Patriots. With players practicing pregame introductions, entering the stadium and some other situations, the network gets a sense of what certain camera angles will look like for viewers. Think of it as "blocking" for any staged production. While game action is not staged, preparation for what could happen can only lead to a better production. For the Fox team -- which might the best of any covering the NFL -- a little more preparation can only enhance a season's worth of work. Every part of the Fox team contributes to its success. From the producer-director combination of Richie Zyontz and Rich Russo to the core on-air duo (Joe Buck, Troy Aikman), a strong supporting cast (rules analyst Mike Pereira is unrivaled in his role) and dozens of camera operators and production personnel, the network has a good plan for how it wants to approach its NFL coverage. "We focus on visual storytelling, and we've worked together so long that we have a good sense of each other. Sometimes the guys in the booth might start with a story and we follow their lead. 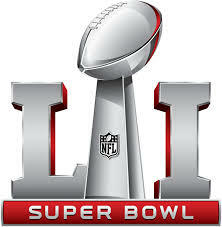 Sometimes it's the other way," said Russo, who will be directing his third Super Bowl. He's worked 14 games since making his debut as a broadcast associate with CBS in 1986. He's directed the international broadcast of the Super Bowl six times. For a normal NFL game Fox uses about a dozen cameras. On Sunday, there will be more than four times that number. Counting small cameras focused on the game clock and embedded in end zone pylons, Fox will have more than 90 cameras in the stadium. Russo likes close-up reaction shots, often in slow motion if it’s a player who made a mistake, to help tell stories for viewers. He also likes traditional angles for game action. So, high-sideline shots making viewers feel like they have the best seat in the house will be appropriately common. "You want to give the viewer the best seat in the house," said Russo, who has earned 10 Emmy Awards for his work. Each week before a game he crafts a detailed camera plan that he shares with camera operators. It outlines which cameras focus on which players in specific down-and-distance situations. It also offers numerous if-then options based on game situation -- meaning the TV team enters the game with a storytelling approach specific to the teams involved and players on the field. Russo knows the biggest expectation some viewers bring to this year's game, too. As a result, he promises not to miss it -- if it happens. If the Patriots win, he'll make sure viewers see all of the Lombardi Trophy presentation. The tension between NFL commissioner Roger Goodell and the Patriots organization in the wake of the “deflategate” controversy means it could produce compelling interaction. “I promise I will stay on them and won’t go anywhere else. I know that's a moment people are curious about if New England wins,” Russo said.